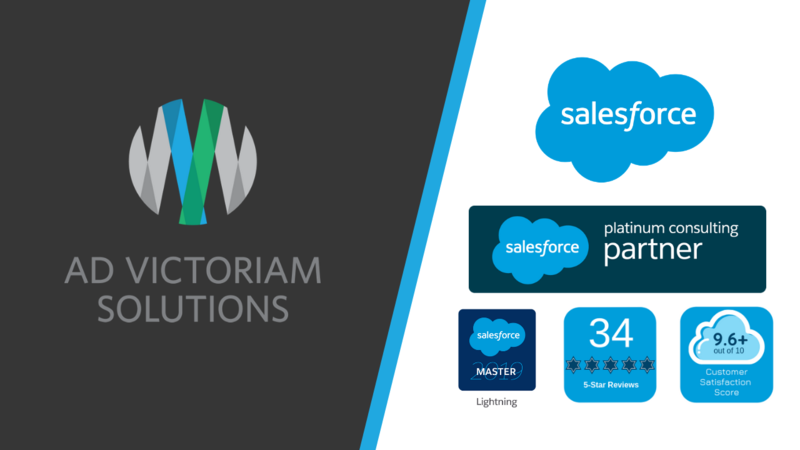 Atlanta, GA, March 07, 2019 --(PR.com)-- Ad Victoriam Solutions (AdVic) announces with pride that they have been named a Salesforce Platinum Partner. With this announcement, AdVic joins the ranks of only 97 firms worldwide, 48 firms in North America, and one of only 38 firms with a 5-Star Rating for Platinum Partner status. To learn more about AdVic’s services and be advised by their “platinum” team, send your information to Chris.Fraser@AdVictoriamSolutions.com or visit www.AdVictoriamSolutions.com.